The tiny grand duchy nestled in Luxembourg has for more than 10 years played host to a busy "shooting gallery" to give drug addicts a safe space to inject narcotics. 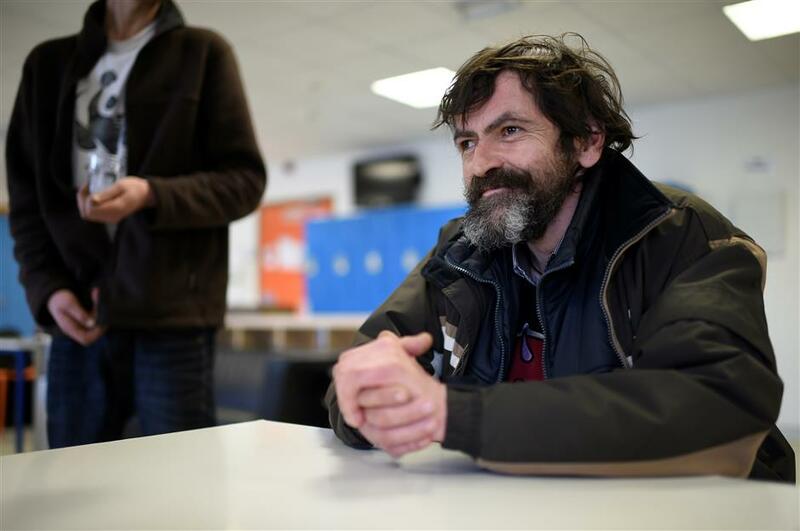 Patrick Steffen, a drug addict, is interviewed at the Abrigado Center, a “shooting gallery,” which gives drug addicts a safe space to inject narcotics in Luxembourg. It now boasts a consumption room, a day center with a medical service and a night shelter with 42 beds. The money to run it comes from a 2.7 million euro (US$ 3.22 million) a year budget financed by the Luxembourg health ministry and the city of Luxembourg. Between 2011 and 2016, the last year for which figures were available, usage doubled to more than 57,000 annual visits to consume drugs, which works out at more than 156 a day. “It’s going well. The chances of catching something are minimized. They’ve done that well,” says drug user Patrick Steffen, 54. Needle exchanges, which swaps dirty needles for sterilized ones, rose by 25 percent in 2016, and is now “nearly 100 percent,” explains Luxembourg health minister Lydia Mutsch. This is a big step forward in a country where drug use has become the third biggest mode of transmission of AIDS. Klein blames “social tourism” enabled by Europe’s open borders policy, with lots coming from France. He also noted that at Abrigado the proportion of addicts from EU countries that used to be part of the Soviet bloc has grown, and now represents 20 percent of all users. “In our center, the average length of time that people have been drug users is 12 years,” he says. “Our key figure is zero. Zero deaths from drug overdoses in our institution,” says Klein.He attributes that to the daily presence of a nurse, along with visits by a doctor three times a week. In the shooting gallery, users have to give their identity and sign a users contract. They also have to promise to obey the center’s rules, while there is a week-long exclusion rule for those who flaunt the regulations. Luxembourg’s government has now decided to put 2 million euros toward the construction of a second shooting gallery, which will open at the end of 2018 in Esch-sur-Alzette, a southern town near the French border. “We are going to take everything that is good about the current center, and if there are things that can be improved, we will do it in collaboration with the Abrigado team,” says Jean-Nico Pierre, who will run the second shelter. As for the risk of “social tourism” that comes from having the center next to a border in the Schengen passport-free zone, he is stoical.